Brought to trial before a governor named Lucius, who demanded that he offer sacrifice to idols, the holy Elder steadfastly confessed his faith in Christ and refused to fulfill the soul-destroying command. The governor sentenced St Cyril to burning, but the flames did not touch him. Seeing this miracle, many pagans came to believe in Christ. Lucius himself offered up praise to the Christian God and set the saint free. St Cyril continued with his preaching and led many pagans to Christ, but also he grieved that he had not been allowed to suffer for the Savior. It was reported to the governor that St Cyril would not cease his preaching, and that he continued to convert people from the darkness of paganism to the light of Christ. 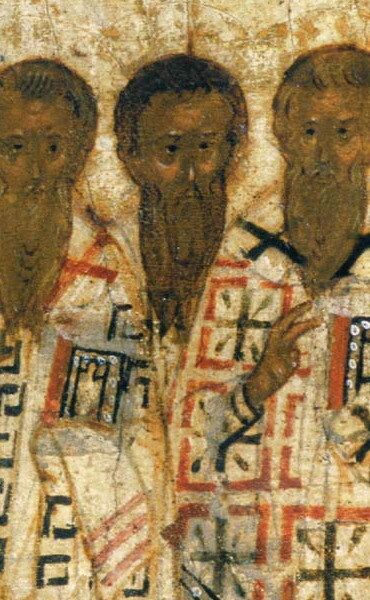 Hearing the sentence against him, St Cyril rejoiced that he was to be granted a martyr's death for Truth, and the 84-year-old Elder willingly placed his head beneath the sword.